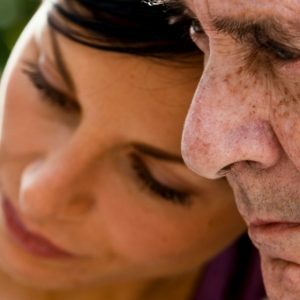 It’s time for the “talk” with your aging parents. Start the conversation with these questions about your aging parents living situation, health, finance, and memorial wishes. If you are a son or daughter of aging parents, it might be time to start asking questions to find out everything you can about their living situation, health, financial and memorial wishes. By starting a conversation, you can work with them to develop a plan and should something serious happen, you will have basic information to support them. Are you okay living here? Would it be easier to move to a one floor apartment or ranch home or downsizing? Is there anything we can do in your home to make getting around easier and safer? Do you need help with cleaning, cooking or any other chores? Can you hear the telephone or doorbell? Do you feel safe driving? What are you doctors’ names and phone numbers? Have you been to the doctor and/or dentist lately? Would you consider letting us go with you to your next appointment to discuss any issues you may be experiencing? Would you provide us with a copy of your medical insurance? What hospital does your medical insurance cover in case you become ill? Do you have a current list of all your medication(s)? Do you ever forget to take your medication(s)? Would a pill dispenser by week or month help? Are you taking advantage of your prescription plans to make sure you’re paying the best price? What pharmacy do you use to fill your prescription(s)? What is your Medicare or Medicaid information? Have you filled out the forms required? Do you have supplemental insurance to Medicare such as Medigap? Dental? Vision? Do you have long-term care insurance or Veterans’ aid? Have you thought about what medical treatment you want in the future and who would make those decisions if you can’t communicate with us? Are your wishes in writing through something like an advanced care directive? Have you written a will? If so, where is it? Who has access to your will? Can I see a copy of your will? Have you thought through how you want to distribute your personal property? If your parents don’t have a will: Would you like me to help you create a will? Where do you keep all your financial information? Would it be helpful if we created a list of bank, brokerage, and retirement accounts, including account numbers and online user names and passwords, if applicable? Where do you store your valuable documents like insurance policies (life, home, auto, disability, long-term care), Social Security card(s), titles to your house and vehicles, outstanding loan documents, and your past tax returns? Do you have a safe-deposit box or home safe that requires a key or combination? Can we find a safe place for the key and/or write down the combination in case we need access? Have you considered giving a durable power of attorney over your affairs to someone in our family in the event you can’t handle them anymore? Do you have a life insurance policy? A pension? Do you know if your checks automatically deposited in your account? What is your social security number in case we need to contact the Social Security Administration? Are you willing to have a joint checking account with me in case I need to pay your bills? Do you have information on the burial plot that you picked out? Do you want a funeral with a reception? If so, do you have any special requests we need to know about; special music, readings or flowers we should know about? Would you like us to donate to one of your favorite charities in lieu of flowers? If so, which one? This list of questions is by no means exhaustive, but it will help get the conversation started. If you have other questions you’ve asked your aging parents, share them as a comment below. We would like to continue adding to this list and sharing it with other families looking to start a conversation with their parents. I look forward to your informational emails. It has made me think, question and share with my dad. Thank you for each and every one! Thank you Linda for your comment! We appreciate your feedback and we’re thrilled that you found our questions helpful. If other questions come up when talking to your dad…share them with us. We’d love to keep adding to these questions.